More than 60 percent of the Fortune 500 companies have adopted sustainability commitments. Many other leading businesses have similar initiatives to reduce greenhouse gas emissions, conserve resources, increase efficiency, generate cost savings and give back to their communities. Most of those sustainability commitments rely on increased use of clean, renewable energy sources. For many companies, this means discovering ways to co-locate clean power generation at their operations or procure clean energy, carbon offsets or renewable energy credits through contractual arrangements. At the same time, tens of thousands of industrial sites lay dormant, burdened by the stigma of either actual or perceived environmental risk from contamination. At many of the same Fortune 500 companies with lofty sustainability goals, down the hall from the sustainability officer sits the real estate function, with responsibility for legacy and dormant properties: a cost sink incurring unproductive expenditures every year managing environmentally impaired properties. For years, lawmakers and regulators have been encouraging the use of contaminated land for clean energy development through various governmental grants, incentives and programs. The U.S. Environmental Protection Agency’s RE-Powering America’s Land Initiative tracks over 80,000 contaminated land sites on more than 43 million acres, and has developed mapping tools to help stakeholders evaluate the renewable energy potential of those sites. As of June 2016, the RE-Powering program has facilitated 179 renewable energy projects on 171 contaminated properties, landfills or mine sites in 38 states and territories, totaling 1,124 megawatts of capacity. While there are major potential economic and energy benefits, these projects are by definition exposed to increased environmental risk. This risk has continued to ward off developers and lenders from more fully embracing the opportunity to deploy renewables at impaired sites. The surge of interest in corporate procurement of renewable power offers a major catalyst to spark renewable energy development at these fallow properties. Companies with portfolios of unused properties may realize significant project efficiencies and cost savings by siting clean energy projects on contaminated or dormant properties. Existing Infrastructure. Former industrial or commercial properties and mine sites are typically located close to vital infrastructure, such as electric transmission (or at least distribution) lines and substations, grid interconnections, roads, railways, and water supply. Capitalizing on existing infrastructure reduces development costs. Close to Energy Load. Similarly, dormant industrial and commercial properties and municipal landfills are often located near energy load demand, reducing the need for transmission infrastructure and the attendant expense and delay of securing related easements and permits. Fewer Permitting, Zoning or Natural Resource Risks. Relative to developing a greenfield project, a former industrial or manufacturing location likely will have fewer environmental permitting hurdles or natural resource impairment risks and is likely already zoned for development. Preferential Treatment Under State Programs. Several states encourage the redevelopment of brownfield sites through incentive policies. For example, New Jersey’s renewable portfolio standard specifically identifies brownfields and properly closed landfills as the type of sites that are qualified to generate solar renewable energy credits. Massachusetts’ Clean Energy Results Program is among the many other state initiatives supporting clean energy development on brownfields and landfills. Community Support for Revitalizing Dormant Land. Municipalities and states eager to enhance their tax base generally welcome the productive re-use of contaminated land. Many states offer streamlined regulatory approvals and expedited permitting, accelerated tax deductions, and tax abatements to support brownfields redevelopment and revitalization. Available Funding. Under both the EPA Brownfields program and various state programs, direct funding may be available in the form of grants and discounted long-term loans. Cheap Land. Whether due to the environmental risk itself or other market reasons, by definition the land is not being developed and so can typically be acquired at a discounted price, or will present a low book value commitment on the existing corporate balance sheet. Despite these advantages, environmental risk – or even the perception of environmental risk – can be enough to scuttle any redevelopment, let alone one as complicated as a renewable energy project. Project developers are justifiably concerned about potential liability under the federal Superfund law (CERCLA) and liability schemes under other state and federal environmental statutes, as well as common law litigation risk. CERCLA Bona Fide Purchaser and Tenant Guidance. CERCLA was amended in 2002 to provide landowner liability protections for bona fide prospective purchasers. To establish and maintain that defense, a purchaser must satisfy the “all appropriate inquiries” standard in the course of diligence and thereafter undertake “reasonable steps” to prevent releases of hazardous substances at the site. The protections subsequently were extended to tenants in EPA guidance issued in 2012. State Voluntary Cleanup Programs. State voluntary programs typically offer a “no further action” letter and/or covenant not to sue once the site meets applicable criteria, often allowing for the use of risk-based clean-up standards and institutional or engineering controls, resulting in major cost savings for cleanups. EPA Comfort Letters. While the EPA will not issue a “no further action” letter as some states will, the EPA may provide a “comfort letter” setting forth information known to the EPA about a site to give the developer some certainty that enforcement risk is low. Even with these liability protections, however, a developer cannot completely eliminate environmental risk when developing impaired property. Therefore developers are best served by working with creditworthy counterparties who can retain and indemnify them for pre-existing contamination, and ensuring full attention to deal provisions allocating such risks. Dormant corporate properties are low-hanging fruit for corporate procurement. The corporate owner already has the liability for the underlying contamination. Provided the owner is sufficiently creditworthy and willing to indemnify the developer and EPC contractor, the path forward for clean energy development is open. Some companies are hesitant to allow development of impaired properties for fear of exacerbating existing conditions or potentially triggering further scrutiny or investigation. However, corporate strategies to procure clean energy can provide a compelling framework to overcome that hesitation. 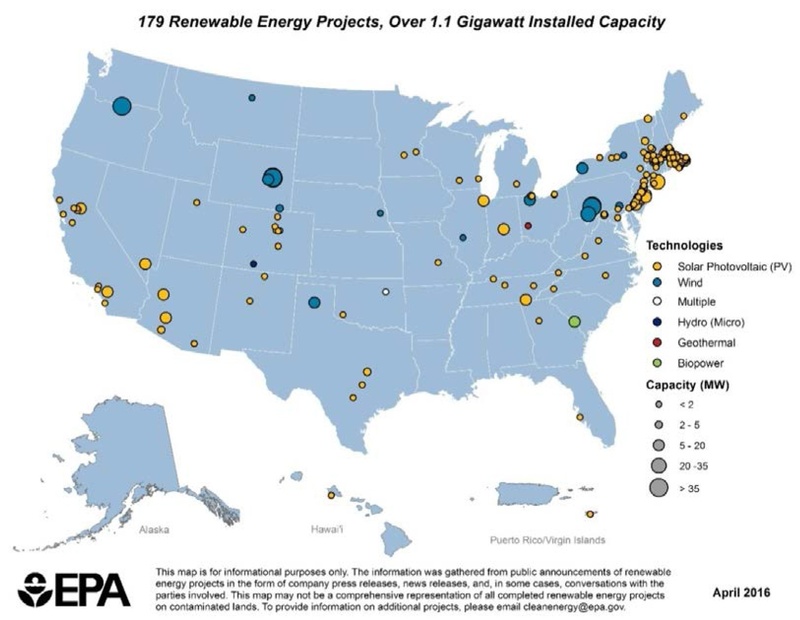 Clean energy projects typically are developed either by (1) co-location of a clean energy system in proximity to an operating asset, or (2) contracting with a third-party project for the purchase of electricity through a corporate power purchase agreement (PPA). Use of impaired properties can create an advantage in either of these models. Prospective corporate buyers may be able to obtain more favorable pricing under a PPA, reduce overall project costs, and revitalize blighted properties by allowing the underlying project to be sited at one of their own impaired properties. Many industrial and manufacturing sites have adjacent contaminated property in the “back 40” which could be used to site a clean energy system. Co-locating a renewable energy project provides an opportunity to power existing operating assets at predictable and reduced energy costs. Companies may realize an additional revenue stream if they can sell excess energy back to the grid under state supported net-metering programs or to a third party under a virtual net-metering agreement. Within this structure, the corporate owner could either contract directly with an EPC contractor to construct the system for it or lease the surface of the contaminated land to a third-party developer who would construct, own and operate the project. The property owner would retain liability and indemnify the EPC contractor or tenant/developer for any pre-existing contamination. Corporate PPAs allow the buyer to procure clean energy directly from third parties regardless of whether the project is located next door, in the same regional energy market or even further afield. The corporate sustainability officer willing to walk down the hall to their property manager may discover that the company has sizeable properties suitable for siting a renewable energy project from which they can procure power on more favorable terms than third-party sites – while also reaping the social, environmental, public relations and financial benefits of restoring a dormant property to productive use. If they have properties with adequate renewable energy potential, then they may be able to contribute the underlying property (or at least the surface rights) – either by sale or lease – to the clean energy project, thereby reducing development costs in exchange for either rent or extracting more favorable pricing in the PPA. In addition to converting the blighted property into a productive asset and generating value for the business, the company also will win points with the state and local community by converting a dormant property to a sustainable use. Property owners and developers should be prepared to spend time analyzing the resource potential of the property, the scope of any residual contamination, the risk associated with subsurface development and the engineering feasibility. This leg work is inherent in any development project and the good news is that the often complicating factor – the environmental condition – already may be well understood. Resources like the EPA’s RE-Powering initiative can provide helpful tools to assess the potential of particular contaminated properties for development. Even where the acreage or energy potential (e.g., wind, sunlight, hydro or geothermal resources) may be inadequate for renewable energy development, other technologies like combined heat and power or waste-to-energy systems may be well-suited. Owners may be surprised to learn of the opportunities to monetize their dormant properties. For example, solar projects can require as little as roughly five acres to be financially viable, and most U.S. regions meet the minimum resource potential of 3.5+ kilowatt hours per square meter per day necessary to generate cost-effective solar power. Redevelopment of contaminated land has been slow to gain momentum under existing EPA and state programs. 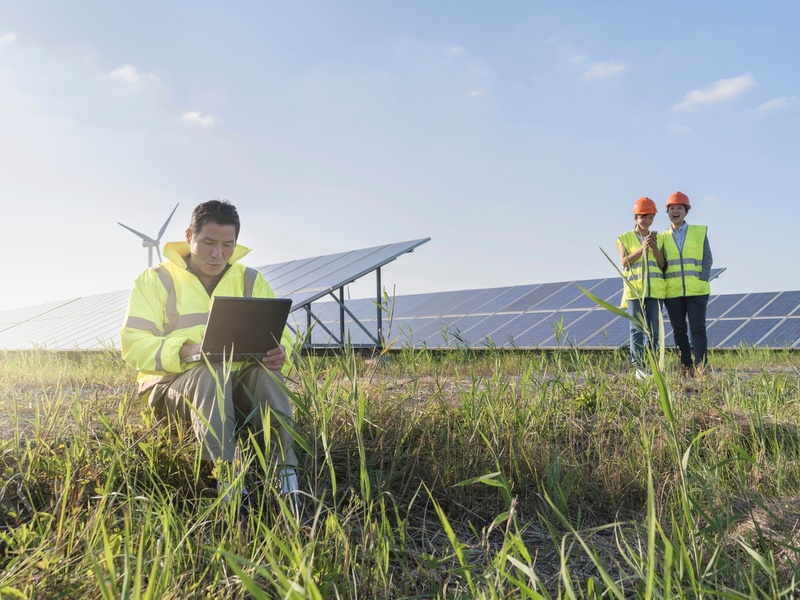 However, the confluence of corporate purchasing of renewables with brownfields protections can unlock major value for companies with an inventory of dormant properties. Through diligent investigation and creative approaches to risk mitigation, companies can achieve sustainability goals while realizing substantial economic and energy reliability benefits. Thank Jeffrey for the Post!